It’s true. At times the only thing holding you back is yourself. We tend to make a lot of excuses in our day-to-day lives that only bar us from doing what we really want and in some cases need to do. 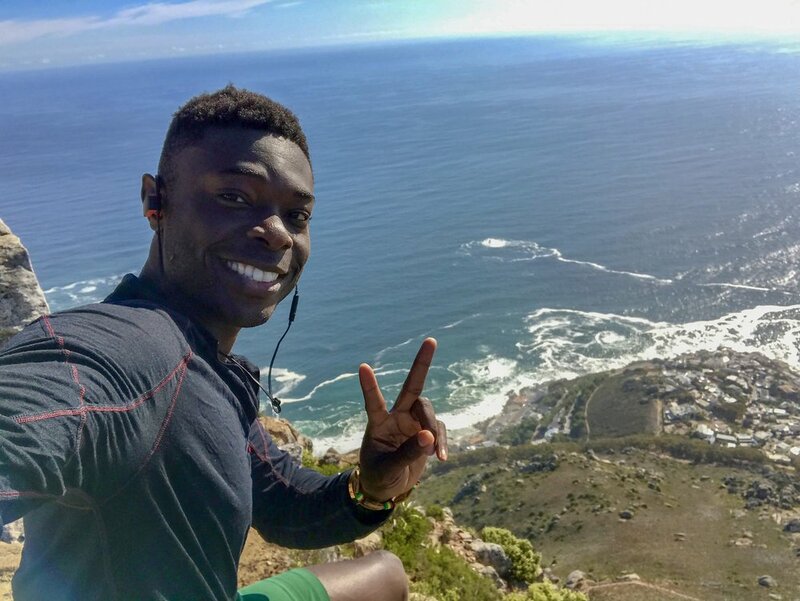 In this post, I’m going to share moments from my last hike up Lion’s Head, located in Cape Town, South Africa. 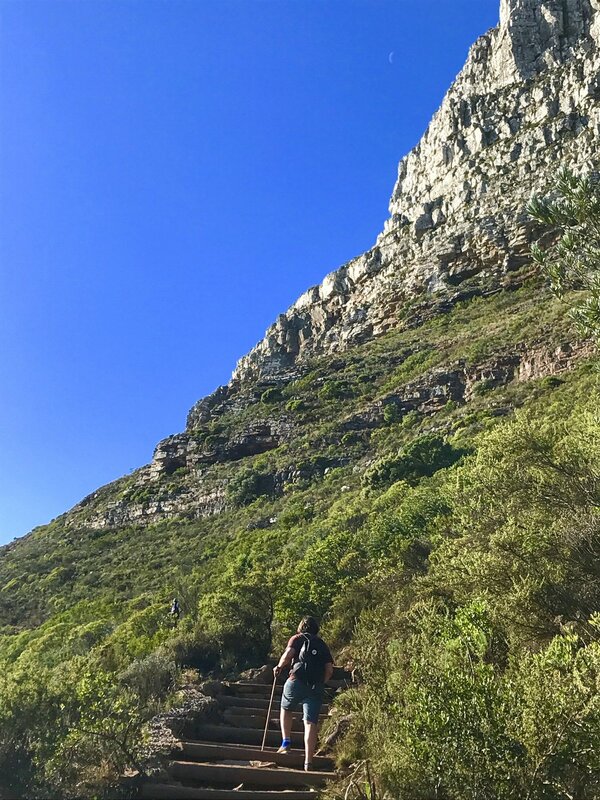 It’s situated between Table Mountain and Lion’s Head and is an easy to medium hike, depending on ability and physical stamina. Devote about 2 and a half to three hours for this activity. Even though I’ve hiked Lion’s Head quite a few times since my first trip to Cape Town in 2014, it is the significance and what I feel to be the symbolic nature of this latest climb, that I choose to recount the hike and share it as inaugural travel post. I can, so I will. I had sprained my ankle in New York City about two weeks before my current trip to Cape Town, and it hadn’t fully healed. I managed to get through SA Fashion Week in Johannesburg (I’m a model as well, but more on that later) just fine, and I did my best to stay off it after the shows. So when I returned to Cape Town, I was feeling confident that I could make the hike, even if I had to go at a slower pace. I arrived on a Wednesday afternoon, to cloudy skies and rainfall. Unlike the end of January when after an 18plus hour journey, I headed directly for Lion’s Head; I took it easy after checking into my Airbnb. I walked to the promenade in Greenpoint, tossed some flowers into the ocean, and stopped at Woolworths for a grocery run. That evening and for most of Thursday, I took it easy. The skies remained mostly grey, and I spent the downtime catching up on news, reading and stretching. Self-care. That Friday, I awoke with the intention of hiking, not sure if I was really up to it if my ankle would allow me to make the climb. It felt good enough, no sharp pains; no limping around, so at that point, it was more of a mental thing and trying to find excuses. I said, well the sun is shining; your leg feels good enough, so stop doubting yourself so much. The best thing you can do is to just begin, let go of any doubts, and just give it your best shot. So I called an Uber, and within 20 minutes I was at the base of Lion’s Head. Even though I had done this hike at least 15 times, this time it just felt different, almost as if I was doing it for the first time. It could have been the slower pace, taking frequent stops and giving myself little pep talks along the way, but I felt a calm that I hadn’t felt in a really long time. The goal became less about making it to the top, for I had already reached the summit many times, but rather taking the next step, and the next, while enjoying the journey upwards. 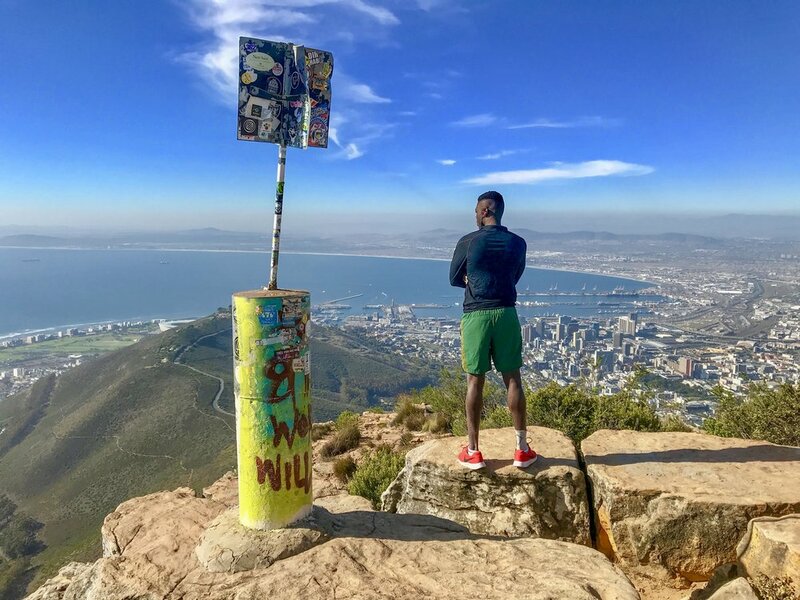 I realized that during my previous hikes, I was so focused on getting to the top, that I wasn’t enjoying the climb as much as I could have been, I wasn’t allowing myself to focus on the beauty of Table Mountain across, Camps Bay beach and the Atlantic ocean below, or just the amazing natural beauty surrounding me. Eventually, I got to the summit and headed towards my usual boulder, Cape Town Stadium (built for the 2010 FIFA World Cup) and just sat. I took slow and deep breaths, stretched my legs out, and took in the beauty of the Mother City. Here is to fewer excuses, enjoying the climb, and saying to yourself, YES I CAN! This guy made NO excuses. However slowly you take things on, just BEGIN! Hike Completed, 20 April 2018.